Product #46620 | SKU 14100 | 0.0 (no ratings yet) Thanks for your rating! 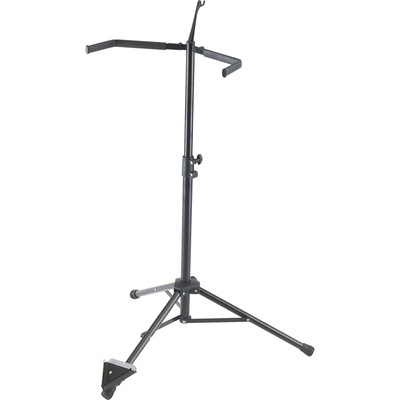 The K&M 14100 Double Bass Stand offers height range from 24.40-44" (620-1,120mm), and holds all string basses. V-shaped base for the endpin and soft rubber-covered arms ensure that the instrument is placed securely in the stand. Additionally, the double bass stand has a bow holder and tube legs with cross braces. The stand is made of steel, and can be folded for easy transportation.